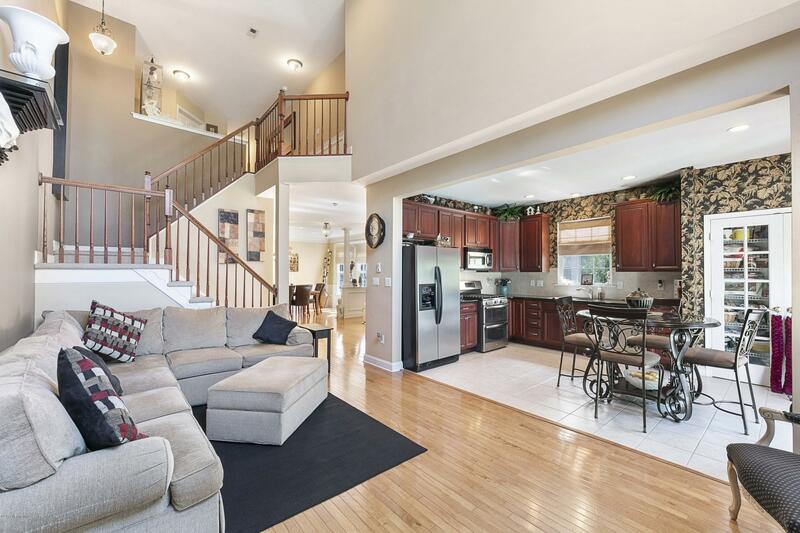 Grand End Unit Townhouse! This Foxton II Grand Expanded Townhome features 3 Bedrooms, 2 1/2 Baths. The home has a Gourmet Kitchen w/42 inch cabinets, Stainless appliances, Granite countertops. Hardwood floors throughout the 1st floor. The grand 2 Story family room has Gas fireplace. Master Bedroom suite has 4 large closets & spa-like master bath with large jacuzzi tub. Also has a faboulous finished basement. Brand New Hot Water Heater just installed. Close to community pool, tennis court, multiple playgrounds.Great for maintenance free living & commuting.